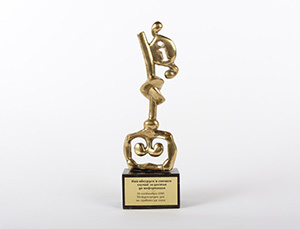 The purpose of these awards is to to encourage citizens, NGOs, journaluists to exercise their rights of information access, and to push governmental institutions to create conditions for exercising of the rights under the Access to Public Information Act. 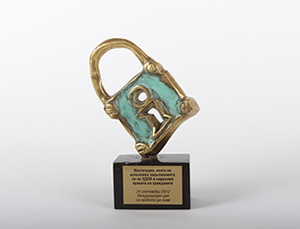 The awards are presented at the annual Right to Know Day Awards Ceremony organized and held by AIP on 28 September - the International Right to Know Day. The winners are selected from dozens of nominations by a Jury, consisting of renowned journalists and representatives of leadings NGOs, as well as members of AIP team﻿. 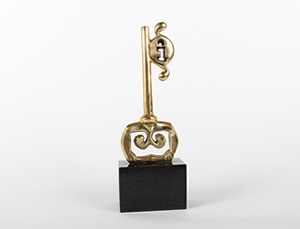 All statuettes are made by Blagovest Apostolov, a Bulgarian sculptоr.